Seller stated he will ship this lot with Nicaragua commemorative stamps on the package. Could be interesting. This is for a 270 grams world kiloware. 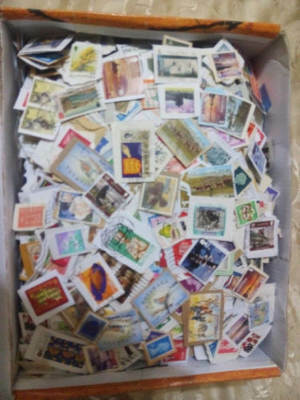 The lot might not be the best (poor photo) but I wouldn’t mind receiving a nice package with Nicaragua stamps on it. Low starting bid, but shipping is not cheap since it comes from far.